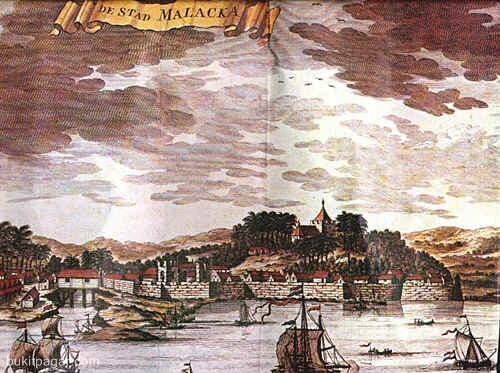 Malacca is about 150 kilometer south of Kuala Lumpur . Across the North-South Expressway you'll be within two hours in Malacca. In the middle of the center are several hotel, who will offer you a "promotion rate". IA room with breakfast and taxes will offered to you for about RM 100. So why wouldn't we stay just one night in this beautiful, historic city Just one night, that's enough, there's so much to see in the rest of Malaysia! At the feet of the hill is " Porta de Santiago". That was the gate for the fort. 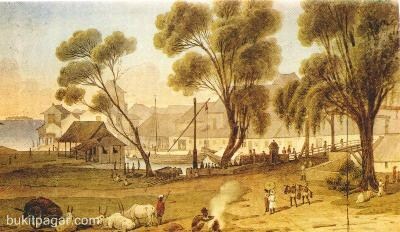 Across the Malacca river are some shopping streets who had Dutch name, like: Heerenstraat (Jalan Tun Cheng Lok) and Jonkerstraat (Jalan Hang Jebat). Jonkerstraat is known worldwide among famous antique, but (I think) the prices are as high as in your home country.